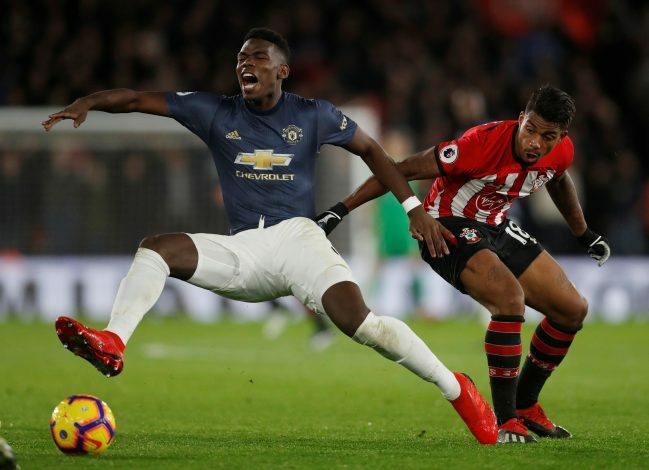 Despite giving it their all, Southampton could only manage a draw against Manchester United in the Premier League on Saturday. What might be shocking to read is only the truth in a disastrous season for Mourinho and his men, with last night’s performance not helping their cause one bit. The away side were 2-0 down in the blink of an eye at St. Mary’s, and despite a comeback to win a point, the fans are not happy with what they saw. An absolutely shocking line-up, poor attacking intent, mismatched chemistry, and lack of passion for the badge on the jersey were evident in United’s performance. While there were numerous talking points in an otherwise entertaining fixture, ten seconds of action from Paul Pogba seems to have become the focus for the United fans. The French midfielder failed to impact the match and tilt it in the favour of his side, leaving the fans feeling confused and irritated. On the 8-minute mark, the World Cup winner showed both signs to his game play, as he initially controlled the ball beautifully while holding off two Southampton players, only to cheaply give it away immediately after that. This was enough for the Red Devils’ faithful to vent out their feelings on Twitter, perfectly summing up their mixed emotions on Pogba. A stat that further agitated the supporters was that while the rest of the team gave the ball away 16 times vs Southampton, Paul did it 14 times all by himself. PogBye coming soon?